The Erie Conservation District Board of Supervisors will conduct their regular monthly board meetings on the second Wednesday of each month, starting at 8:00 p.m. at the Erie County Services Center, 2900 Columbus Avenue, Sandusky, Ohio. All meetings are open to the public. Eric Dodrill brings 25 years of engineering experience, in both the public and private sectors, to the position of District Director of the Erie Conservation District. 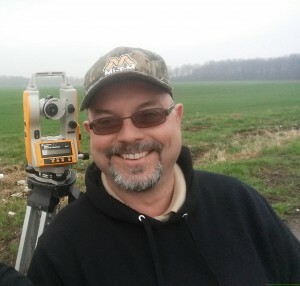 He earned his Bachelor of Science in Civil Engineering at West Virginia University and is a Registered Professional Surveyor and Engineer in the State of Ohio. Working in Erie County, Ohio for most of his career, he has a broad knowledge of governmental processes, public policy, drainage, conservation, and public engineering. Eric and his wife Gail live in Huron Township with their children, Colleen and Alex. Eric works hard to balance his time between work, attending kids’ sporting events, home improvement projects, and occasional fishing trips to local wildlife areas or Lake Erie. 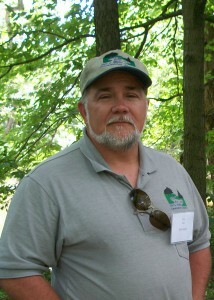 Tim White is the Wildlife Specialist and has been with the District since 1996. As the Wildlife Specialist, he has assisted landowners throughout the county with regard to nuisance wildlife issues, crop damage site investigations, Deer Damage Control Permits, wildlife habitat evaluation/enhancement recommendations, and numerous school and adult education programs. Tim has also served as the District Urban Stream Specialist from 1998 to 2002, assisting with various stream restoration projects and other programs in an effort to create a public awareness and the proper stewardship of the area’s natural resources. Tim provides assistance and training for the National Archery in the School Program (NASP) and the Ohio Hunter Education Course, as well as maintaining a partnership with numerous conservation agencies and organizations such as National Wild Turkey Federation, Pheasants Forever, Ducks Unlimited, and Farmers and Hunters Feeding the Hungry. Spending time in the outdoors, riding the scenic back roads on his Harley, and sharing memorable moments with his family are among life’s experiences Tim enjoys the most. Celine Hemminger is the Administrative and Fiscal Coordinator and has been with the District since 2004. She has a Bachelor of Arts in Sociology from Bowling Green State University and a Montessori Teaching Certificate. 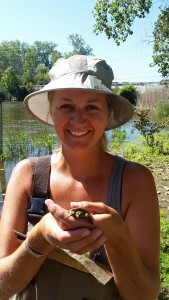 She is a facilitator for Project WET, Project Wild, and Project Learning Tree and a level I Qualified Data Collector through the Ohio EPA. 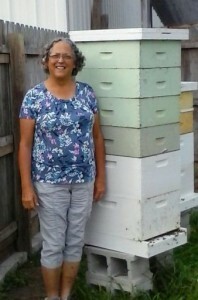 She is a local stream monitor volunteer and also is a Beekeeper. Her family owns and operates a local farm that raises corn, soybeans, and wheat. The farm also supports conservation practices to improve their soil and help Lake Erie, such as waterways, buffers, and cover crops. She enjoys hiking and camping and loves sharing her love of nature with her grandson and everyone around her. Melissa Fetter recently joined the staff of Erie Conservation District as a full time Urban Conservation Technician in 2014. Her journey began 4 years ago as a volunteer stream monitor for the District while she was pursuing her Bachelor of Arts from Bowling Green State University. She is very active in her community serving on the fundraising committee to support breast cancer research and treatment at Firelands Regional Medical Center for local residents, as well as various volunteering opportunities to improve her community. 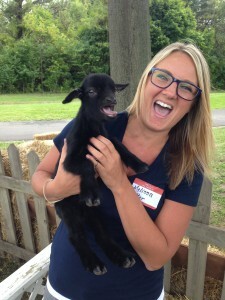 She is a connector in the community, bringing people together and inspiring a collaborative approach to problem solving, which has made her an ideal addition to the Conservation District Family. She began her career at the District helping to complete the Street Tree Inventory for the City of Sandusky and has continued to serve by assisting with storm water management projects in our local communities.